We understand that our trust clients have individual and specific needs. Count on our local team to manage and set up a trust that safeguards your assets. If you are a current trust client of Mid Penn Bank, view your trust account online today. 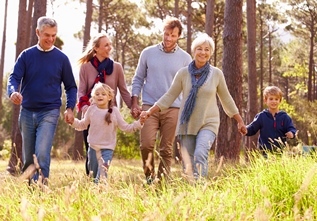 Whether you live in Harrisburg, Millersburg, Lancaster or any of the surrounding communities in Pennsylvania, trust services allow you to manage your money, protect your assets and protect your beneficiaries. With a trust, you can make decisions about your long-term finances now. If you want to leave your assets to your family, for example, you can place those assets in a trust. This helps your loved ones avoid probate and can help protect your privacy. Additionally, a trust may help your beneficiaries enjoy some estate tax savings. It can also be used in your lifetime to protect you in the event of disability or other situation. To learn more, speak with one of our local experts today.